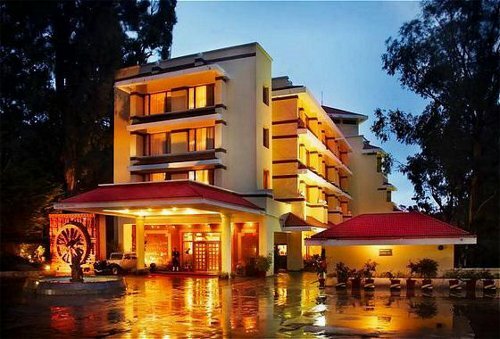 The Holiday Inn Gem Park is a well known hotel in Ooty. The hotel is a place of serenity and is located far away from the hustle and bustle of the city life. The Holiday Inn Gem Park offers all the modern amenities and services for a comfortable stay. The hotel is a perfect place to unwind and relax. Holiday Inn Gem Park Ooty offers a total of 95 rooms. The rooms are categorized into Double Rooms and Suites. Swimming Pool, Men's Beauty Parlor, Restaurant, Laundry, All Major Credit Cards Accepted, Internet Connection, Currency Exchange, Travel Desk Service, Gymnasium, Jacuzzi, Sauna, Beauty Salon, Steam Room, Dance Floor, Bar Service, Car Parking, Front Desk, Newspaper, 24 hrs H/C running water.